Last Gasp: Summon a 1/1 Skeleton. 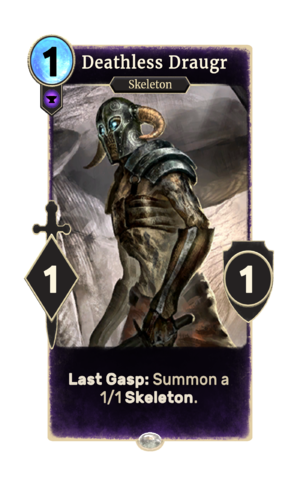 Deathless Draugr is a common Endurance creature card. It is part of the Core Set. This page was last modified on 8 February 2019, at 20:07.